Android XML Parsing using SAX Parser ? 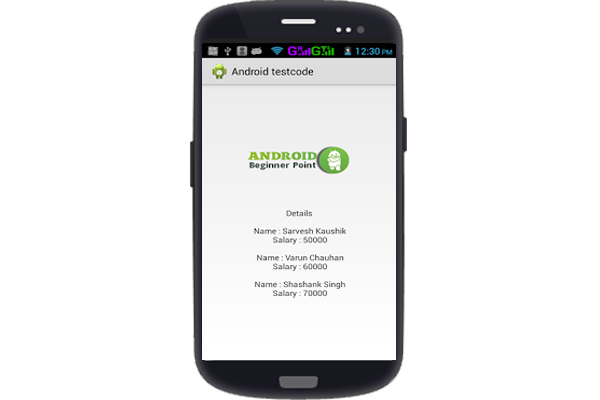 In this blog we will explain how to parse xml file.Android SAX Parser provide the facility xml file parse .but parse the data on xml file. create a xml file inside assets folder. Create the view inside res/layout folder. tvParser.setText(tvParser.getText() + "\n\n Name : "
tvParser.setText(tvParser.getText() + "\n Salary : "